While hackers are trying to iOS 11 jailbreak stable, Apple just publicly released the successor of iOS 11.2.5, iOS 11.2.6 latest iOS version update for iPhone, iPad & iPod. And, they also have seeded the 3rd beta tester of upcoming iOS 11.3 major update for developers. So, here we like to discuss Cydia download possibilities for iOS 11 including the latest versions such as iOS 11.3, 11.2.6, 11.2.5, 11.2.2, 11.2.1 or iOS 11.2 ? Just follow me to know about the newest status of iOS 11 jailbreak to get Cydia for your device. 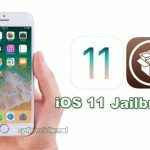 Can install Cydia on iOS 11 running devices at this moment? Actually, jailbreak iOS 11 is really possible and publicly available to download for your iOS 11 running devices. If you are not with iOS 11.2 – 11.2.5, 11.2.6 latest versions or iOS 11.3 beta, then you are able to jailbreak and Cydia download your iPhone, iPad or iPod using following tools. Note : Actually, Cydia is not fully working on iOS 11 yet. Just You can download & install Cydia on iOS 11 running devices using some of above jailbreak tools, but it is not stable and you can not install any packages through Cydia for your device. Once Saurik update Cydia for iOS 11, then you will be able to enjoy full feature of jailbreak with Cydia on your device. Update : Electra jailbreak has updated and integrated with Cydia. Finally Cydia is now fully working on iOS 11 with Electra jailbreak. Also, you can install packages with Cydia as you wish. 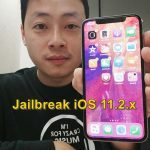 Can download Cydia for iOS 11.2 and later versions running devices? Currently, you are unable to jailbreak and install Cydia for iOS 11.2, 11.2.1, 11.2.2, 11.2.5, 11.2.6 & 11.3 iPhone, iPad or iPod. LiberiOS, Electra or any other currently available jailbreak tools are not supported for iOS 11.2 & later version. Because, all the present iOS 11 jailbreak solutions were based on the iOS 11 exploit that discovered & released by Ian Beer and unfortunately the exploit was patched in iOS 11.2 by the Apple. Alibaba Pandora Lab has successfully jailbroken iOS 11.2 / 11.2.1. They recently demonstrated Cydia on iPhone X running iOS 11.2 firmware. Pandora Lab claimed that was an untethered and more stable jailbreak for iOS 11.2/11.2.1. Sadly, they has confirmed that jailbreak will not be released for the public. Security researcher Russ Cox recently has discovered a new kernel exploit for iOS 11 and plan to release soon for the public. However, the exploit has patched by the Apple in iOS 11.2.5, therefore it will only work with iOS 11.2, iOS 11.2.1 & iOS 11.2.2. Once it releases for the public, this could lead to an untethered jailbreak for iOS 11.2 – 11.2.2 and iOS 11.2.5 & 11.2.6 users are out of the luck at this time. 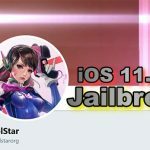 ‹ Electra, LiberiOS updated – Can install Cydia with this jailbreak application ? This moment Cydia only available for developers. Please wait until real jailbreak solution for public users. Hi Zan! Cydia is still not compatible with iOS 11.2 & later versions. Wait & see until jailbreak release for iOS 11 latest versions.. Wait.. Jailbreak will release recently. Jailbreak is ready up to iOS 11.1.2 running devices.You can install some hacked games, not all games.